Here you will find support and resources for ladies (and their families) who have been afflicted by side-effects and problems caused by the sterilisation implant Essure. You can read about our experiences too, and tell your story. We hope to offer information, help, moral and practical support, and importantly, give women a chance to tell their stories and be heard. Okay, some very very exciting news! 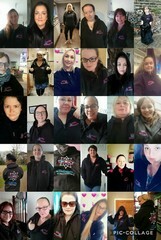 For a long time, it’s felt like us UK ladies have been left out in the cold. Whilst many of us want to see restitution, the legal firms we’ve spoken to have been dropping Essure cases all too easily. 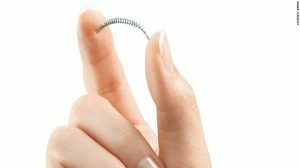 Most if not all cases now are taken on with the intention of pursuing legal action against the NHS Trusts responsible for fitting Essure to their patients, and to the doctors who have performed the procedure. That’s great, and in plenty of cases it’s entirely warranted. But a lot of us don’t want to see the NHS punished for something that on paper at least, should have been a good decision for patients. The NHS is on it’s knees and we’re grateful to have it. What most of us wanted was to go after the people ultimately responsible for our troubles – Bayer, the pharmaceutical giant who made Essure. Of course Bayer are massive. They can afford the best legal representatives. No one wanted to tackle them, and claims against the NHS/implanting doctors are going to be far easier to prove. The best way to tackle action against Bayer is in sheer weight of numbers – class actions like this are happening in the US and in lots of other countries too, but until now the idea has been skirted around in the UK. A company called SPG Law are going to give it a go. The more of us that sign up, the better – the more individual victims they can find, the harder it is for Bayer to argue that Essure side-effects and problems are within an acceptable number. So please, please, PLEASE – get on board. Signing up is easy and quick at Essureclaimlawyers.com and it’s no-win, no-fee. Let’s do this. Let’s show those bastards at Bayer that we’ll be heard. We’re not going away. We talk a lot about the side effects of Essure and how it affects us. Well, I wanted to talk about having it fitted. I found it horrendous, and I know I’m not alone.